It's one of only two Kaby Lake G laptops in existence, and this is why we're sad about it. It’s rare that we can say we’ve reviewed every single type of laptop. No one can say, for example, that they have tested every single GeForce GTX 1060 laptop, or every single 8th-gen Coffee Lake H laptop. 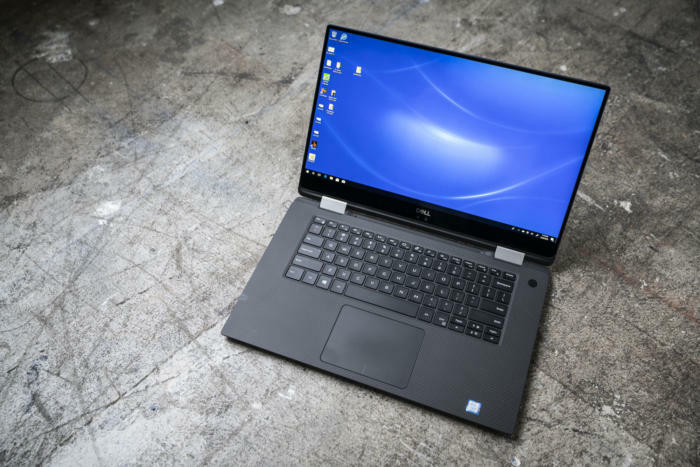 With this review of Dell’s XPS 15 2-in-1 9575 though, we can now safely say we have reviewed every single 8th-gen Kaby Lake G laptop ever made, because there are only two in the world. And that’s a shame, because this CPU package is something we may never see the likes of again. Is the Dell XPS 15 2-in-1 9575 one of the first and last Kaby lake G laptops we’ll ever see? We’re not being dramatic. 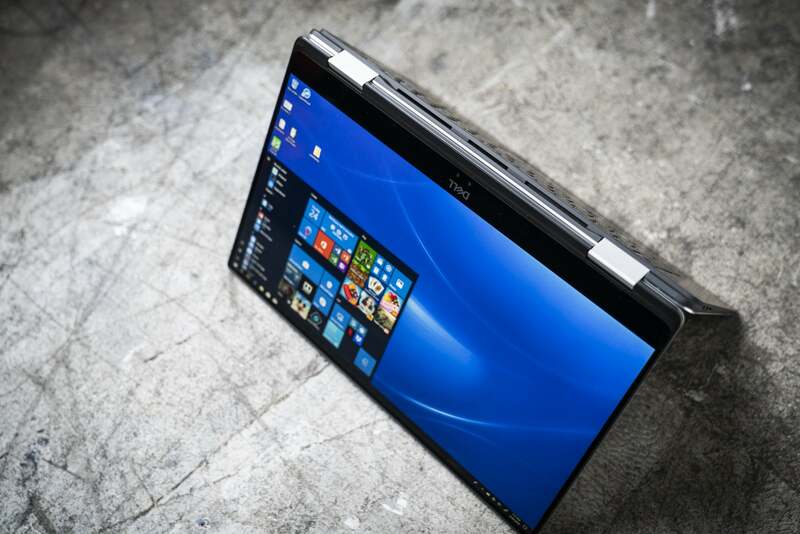 The XPS 15 2-in-1 is built on Intel’s ambitious Kaby Lake G part. It basically combines an Intel quad-core and an AMD Radeon RX Vega M GL graphics chip, a once-unthinkable marriage. It’s compact and fast, and it all comes together with Intel’s whiz-bang EMIB technology. 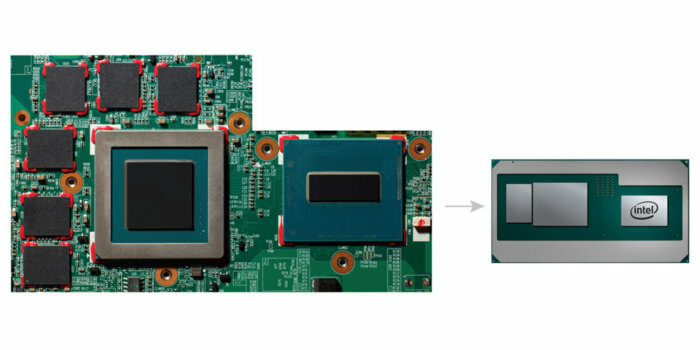 Besides shrinking the overall motherboard size, the Kaby Lake G module also lets the laptop better manage the bane of laptop performance: heat. And yet other than this Dell laptop and its rival HP Spectre x360 15, no other PC vendor has stepped forward with models based on this chip. On the left is a traditional CPU plus discrete graphics chip and graphics RAM. On the right is the entire Kaby Lake G package. Like other 2-in-1s, the XPS 15 2-in-1 flips the 15.6-inch screen around so it can be used like a tablet or in tent mode. We have to admit that the concept seemed absurd a few years ago, but it’s now our preferred form factor. The tablet does include pen support with up to 4,096 pressure levels using an optional Dell-branded, Wacom-technology pen. 1920x1080 IPS touchscreen with Wacom pen support (4K optional) anti-reflective touch. The laptop itself is about 9.2 inches deep and 13.9 inches wide, with a height measuring from 0.36 inch to 0.63 inch tall. It weighs 4.35 pounds. Although Dell calls it the thinnest 15-inch 2-in-1 in town, when you look across at the traditional XPS 15, the size and weight isn’t much different. The left side of Dell XPS 15 2-in-1 9575 gives you two Thunderbolt 3 ports, and a MicroSD slot. The most obvious of the radical design choices are the ports. 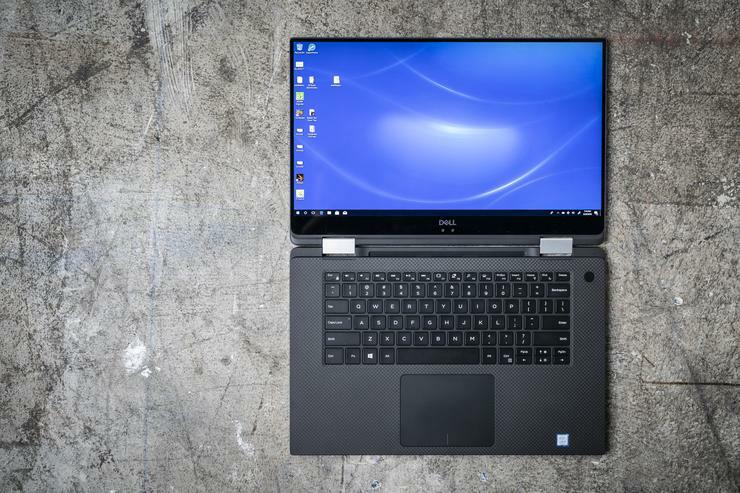 While you get a microSD slot, a combo headphone jack, and a Noble Lock port, Dell outfits its XPS 15 2-in-1 with only four USB-C ports. Two of those ports are Thunderbolt 3, with the last two as USB-C 10Gbps ports. All four support DisplayPort output as well as Power Delivery, so you can plug the laptop’s 130-watt USB-C power brick in to any port for charging. If you’re up on your USB Power Delivery specs, you know the maximum output for USB-C charging today is 100 watts, which is a little low for performance-oriented laptops. 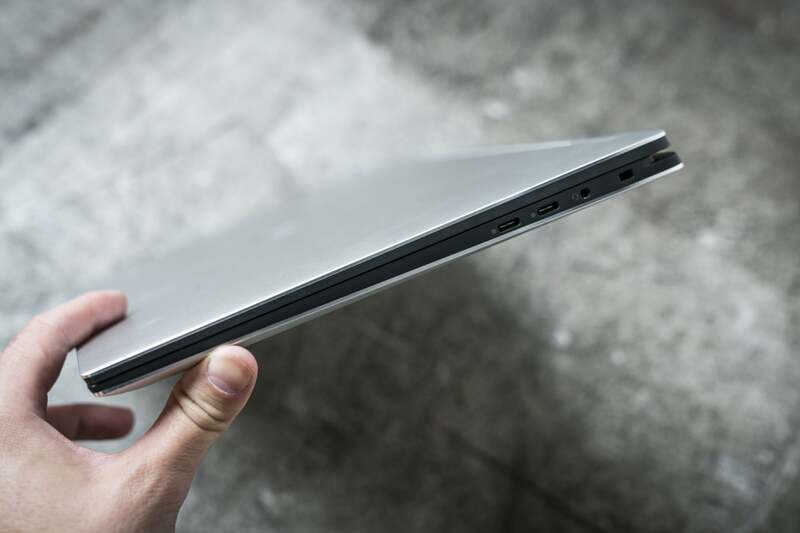 To get around this limitation, Dell’s USB-C brick identifies the laptop first. If it’s a Dell model that supports the higher output, you get up to 130 watts. If you plug the Dell charger into a non-Dell laptop that doesn’t support its higher charge rates, it will stick with the official spec. For example, we could get the XPS 15 2-in-1’s charger to hit 130 watts on the latest Dell XPS 15 9570, but when plugged in to a 2017 Macbook Pro 15, the most it would draw was 80 watts, which is what the stock Apple USB-C charger outputs. The right side of Dell XPS 15 2-in-1 9575 has two 10Gbps USB-C ports that also support charging and DisplayPort out. You also get an analog headset jack and Noble Lock port. While four ports sounds like a ton, we do have to point out that compared to the standard XPS 15, it really isn’t that much. Once you plug in your charger and monitor, you have only two ports left. 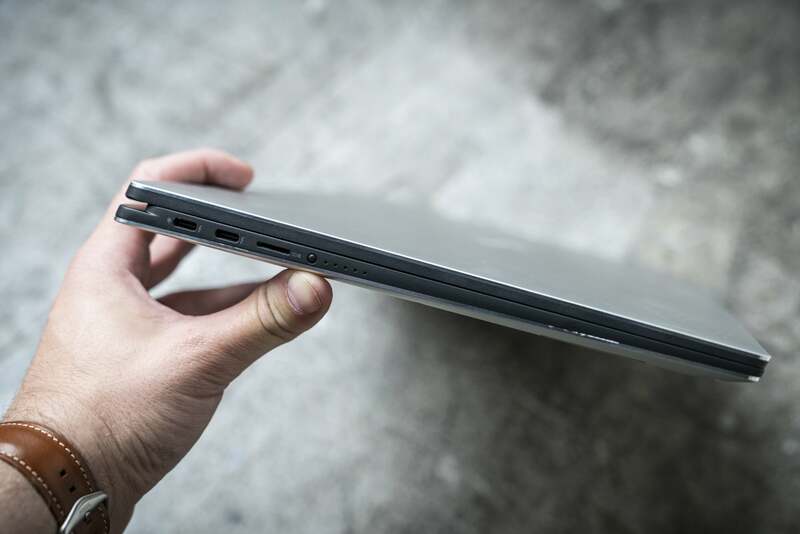 On the standard XPS 15, you’d have three free ports. And yeah, that “all USB-C thing.” It annoyed us when Apple did it with the MacBook lineup, and it annoys us now. Dell bundles a free USB-C to USB-A dongle, but once you lose that on a business trip, have fun chasing around town for a replacement. The good news is you can charge on all four ports, which is actually a lot more convenient than charging from either the right or left side. Probably more polarizing than the port selection is the keyboard. Dell said keyboards are one of the primary items that make laptops thick. For the XPS 15 2-in-1, Dell employs a new-fangled “MagLev” keyboard, which combines butterfly-style switches (no, Apple didn’t invent them) with magnets to make them pop up. The result feels and types like something between a MacBook Pro 15’s Butterfly keyboard and a conventional XPS 15 9570’s dome keyboard. We will be honest: We’ve long hated on Apple’s Butterfly keyboard. Not because they were failure-prone from dust, but because of the lack of travel. 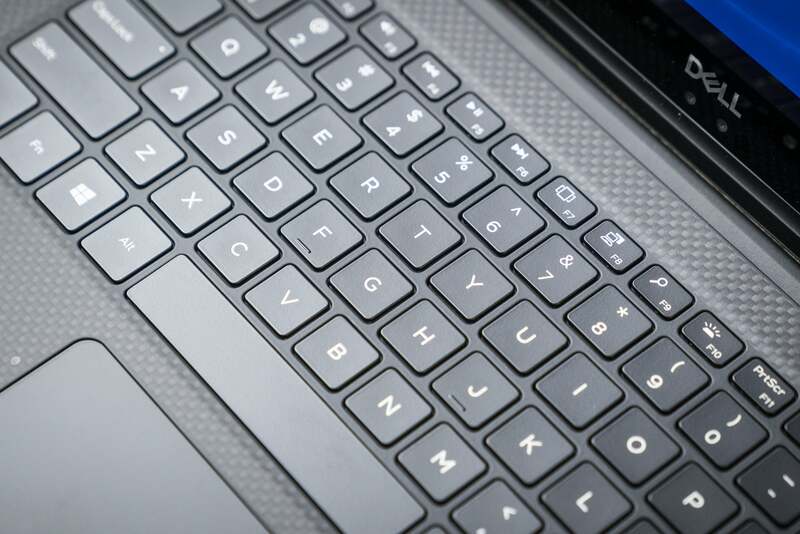 The MagLev keyboard claims 0.7mm of travel, which is not much over Apple’s 0.55mm, but the 1.5mm of travel of an HP Spectre x360 15 feels luxurious by comparison. Even worse on the low-travel keyboards is the sound. While Apple damped down the latest Butterfly keyboards with rubber (to also apparently protect them from failing from dust), they were annoyingly loud before. We compared the MagLev in the XPS 15 2-in-1 with the Butterfly keyboard in a 2017 MacBook Pro 15 and found the XPS 15’s to be far quieter. Not as quiet as a traditional rubber dome keyboard, but slightly better than the MacBook Pro 15 which makes even simple note-taking sound like an angry post to Reddit. Basically, if you’re especially picky about your keyboards, you may want to try the XPS 15 2-in-1’s first before you jump in with both feet. Dell’s new XPS 15 2-in-1 features three beefy heat pipes and two fans to cool the Core i5-8305G Kaby Lake G CPU/GPU. There’s also easy access to the SSD, but RAM is likely soldered in place. On the laptop upgrade curve, we’d rate the XPS 15 2-in-1 as OK. The good news: You can inside get in by removing a few Torx head screws. There’s no need to remove rubber feet or execute secret moves to open it. The bad news is the RAM is on the other side of the motherboard, we think, and probably soldered in place. The only part you can really change is the M.2 drive, which is visible on the picture above covered with the green-tinged tape. Another thing you’ll notice in the photo above is the beefy cooling. 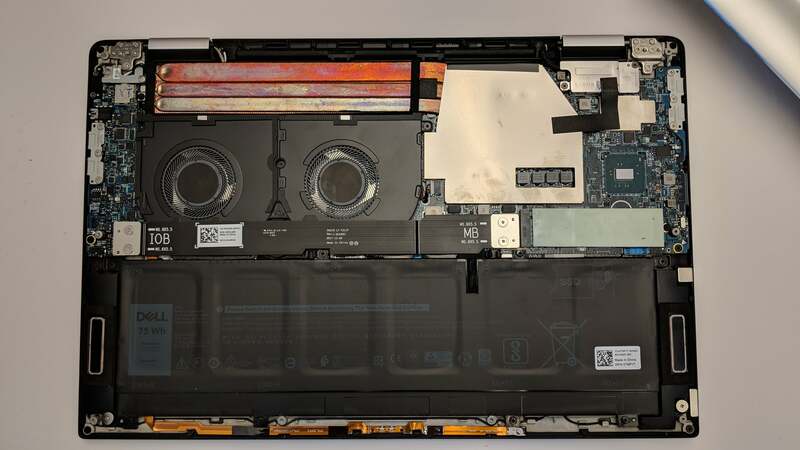 While the clamshell XPS 15 9570 uses two heat pipes with two fans, and Apple’s MacBook Pro 15 uses a single heat pipe with fans, the XPS 15 2-in-1’s three pipes should give it a nice advantage in cooling and performance. Done with features, let’s move on to performance on the next page.